Who doesn’t want flexibility, freedom, and money?! Work from home jobs are the best way to create a life outside of the cubicle. There’s no commute, you can work in jammies, and more time freedom! Online jobs from home can give you a fulfilling career and the freedom that you want from your office. I’m pretty sure most people want flexibility and freedom in their lives, but not everybody want to take the risk of starting their own business as a freelancer. It can be stressful, but their are many legitimate work from home jobs available through 100 real businesses! How to find legitimate work from home jobs? FlexJobs is a great place to start looking for legitimate work from home jobs. FlexJobs is a platform that curates the best online jobs, and works with many companies to help find valuable talent to fill the online positions. FlexJobs has an amazing search engine that you can tailor to your specific needs in a job (flexible, online, part-time, freelance, etc). They also offer webinars and other training to help you in your job search for an online work from home job. FlexJobs costs $15 per month and you can easily cancel at any time. If you are serious about finding a real online work from home job, then I highly recommend you join for at least 1 month and take advantage of all the services they provide. PRO TIP: Usually they do special discounts around holidays, so make sure to check for any deals before you join! FlexJobs has a list of the Top 100 Online Jobs from Home. This list is very useful because FlexJobs has vetted these companies, so that you know they are legit! You will notice a variety of different industries from healthcare, education, software companies, marketing, writing, and more! We are listing the top 10 online jobs from home here to give you an idea of what you can find on the list. To read the full list you can click: Top 100 Online Jobs from Home. VIP Kid is an online English teaching job. VIP Kid is rocking the work from home job world! They offer great pay and flexibility that is hard to find in an online teaching position. Students are from Beijing, China ages 5 -12. Teachers typically work early morning hours (depending on your time zone) and teach 25 minute lessons. You do need a college degree to apply for VIP Kid. If you don’t have a college degree, then check out these other online English teaching jobs! Appen recently took over one of my favorite work from home companies…Leapforce. Appen hires for a variety of different positions. Their most popular position currently is social media evaluator. You can expect to work between 5 – 40 hours per week on the project you’ve been assigned. Appen hires globally! Conduent is a large corporation that works with over 18 different industries to provide a variety of services. Conduent hires remote work from home positions typically in Customer Service (sales and tech support). Rev provides a platform for transcriptionists and translators to work from home. Freelancers convert audio to text, translate business documents, and provide certified translations of immigration documents. Liveops provides cloud contact and customer service to a wide variety of industries. 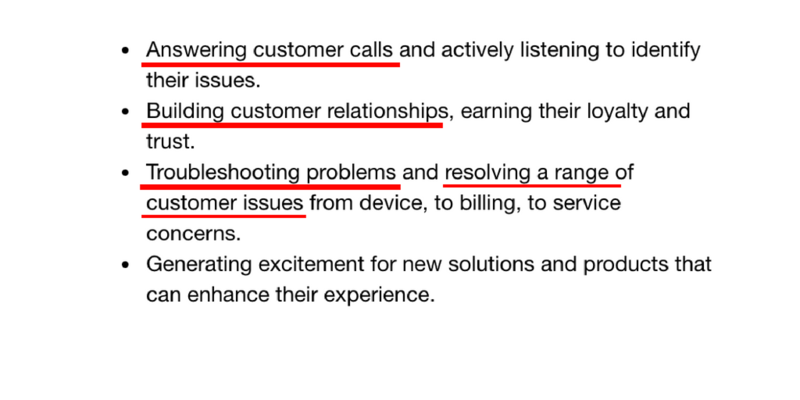 They typically hire remote customer service positions. TTEC is a business process outsourcing company that has a global workforce. They work with businesses around the world and many diverse industries. TTEC also hires for a many different remote work from home positions. You can find jobs in customer service to full-time positions in very technical areas. Amazon is the world’s largest online retailer. They hire remote workers in customer service type roles especially during the holiday season. Sykes is a business process outsourcing company that hires globally. They work with a diverse group of businesses from all over the world. Sykes hires remote work from home positions in customer service. They also provide paid training and health benefits (vision, dental, and health). Dell is a computer technology company. They offer many different full-time telecommute job opportunities. They also offer customer service opportunities if you don’t have a computer technology background. Working Solutions provides home-based customer service and sales agents. Working Solutions offers freelance and remote work from home job opportunities. How do you land a work from home job? Getting a work from home job is pretty much like any other job out there. But there are a few things you should know when applying online for a work from home job. Since everything you do initially will be online. Make sure that you read through the job description and look for keywords. Then use those words in your descriptions of your past experience. This will help the computer systems to find your information and see you as relevant to the job position! Make sure you connect with other people who work from home. Connect with people on your social media accounts and network your way to an online work from home job! Ready to learn more about the Top 100 Work from Home Companies? Check out the FULL list at FlexJobs!